I am a very visual person. Although smells are among the most powerful memory triggers, sights are pretty strong for me as well. Some mornings while heading up the street to join my walking partner for our morning jaunt around town, I can look up at the skies and remember walking with my mom, especially during our time on Cyprus. The thought makes me laugh because middle-of-the-country farmland in Arkansas holds little resemblance to the beachside streets of Larnaca, Cyprus, whether it be in smell, sight, or sound. But, there’s something about looking up at that early morning blue sky that triggers my memory. I’ve realized more and more in recent years how much God uses sight triggers as reminders. Most often it involves reminders to pray. It could be prayers for someone I see daily or prayers for someone I haven’t heard from in years. I love eagles and collect them. Through the years I’ve been given many eagles as gifts, such that they are displayed in various places around the house. When I’m given an eagle, I try to notate somewhere on it who gave it to me and when. 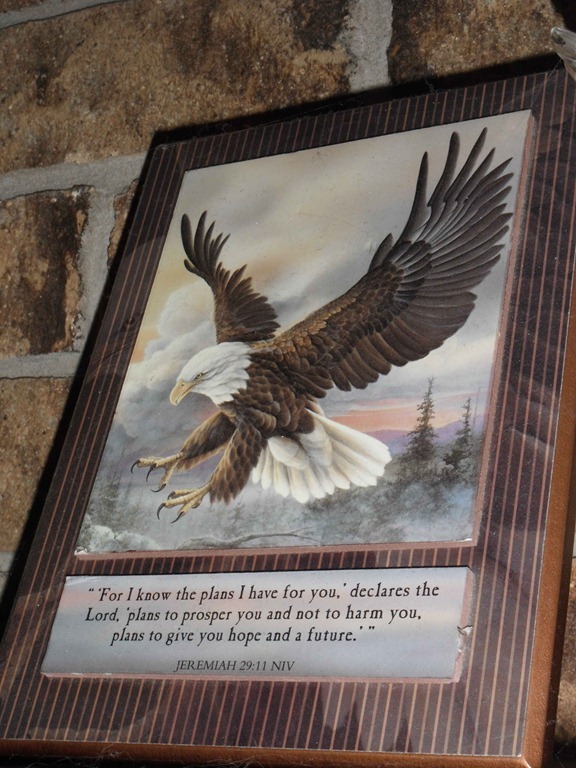 Most of the eagles I have are from family members, but there is one eagle plaque that was given to me as a going-away present by a precious member of the youth group at a church we served years ago. I wrote her name and the date on the back of the plaque, as I did with my other eagles. Through the years I lost touch with this young lady, but God would bring her and her sister to my mind frequently, thanks to that eagle plaque. Recently I was able to get back in touch with her, thanks to Facebook, but it seemed as though we had never been separated, thanks to prayer. I also have a good bit of jewelry. Much of it is from my time in Jordan, but there is some that Mom has given me since then, and there are several special pieces from Doug. I don’t necessarily need reminders to pray for either of them, but the pieces of jewelry remind me of specific things to pray over them. 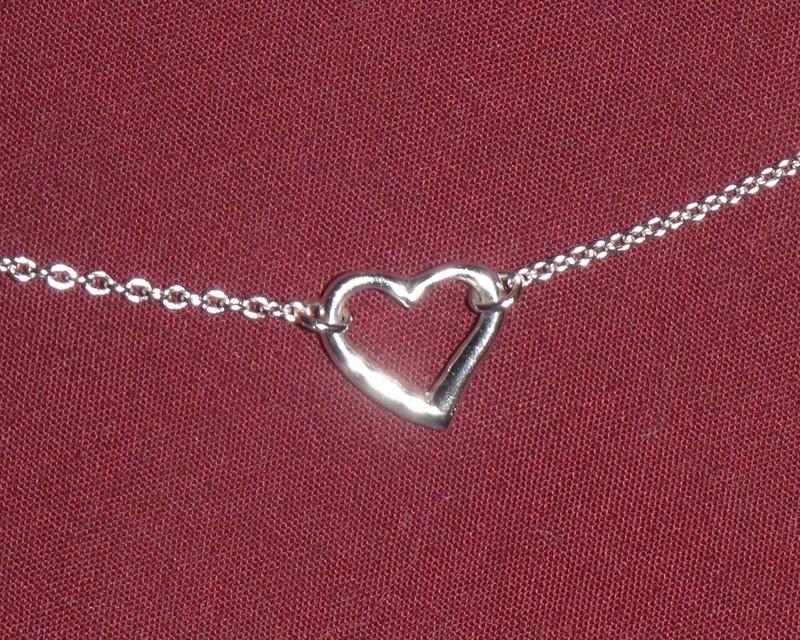 Then there’s a beautiful heirloom necklace a dear friend gave us as we left our first pastorate. Or the pieces sent to me from a beloved friend on the mission field; the heart ankle bracelet given by another precious friend I don’t see nearly as much as I’d like to; the earrings a currently local friend blessed me with on my birthday. And it’s not just knick-knacks and jewelry. It’s other possessions scattered throughout my house from a second-hand table to gifts from my in-laws to pictures taken by friends to books. Even beyond our house there are triggers. Locations. Reminders of hobbies. Restaurants and stores. A type of road or building. And God’s beautiful creation itself. Whatever it may be, there are triggers and reminders literally everywhere, if only I will bother to open my eyes and see them! I don’t really even have to look – God does the work of bringing them to my attention. But, too often I’m not sensitive to the reminders. The memory will flash through my mind, but I don’t stop to pray. Instead I’ll bask in the memory for a little while and then move on. But, when I do pray – which, thankfully, is becoming the more frequent response – the result is utter delight. I sense the Lord speaking to my heart, moving in me to bring to mind the needs of the beneficiary of those prayers. Sometimes I am moved to aching tears. Sometimes to joy and delight. Sometimes the prayers are simple and quick, with no real insight. Other times the thoughts just seem to flow in depth, the Holy Spirit praying through me with more wisdom and insight than I could ever muster on my own. Through those prayers I feel the distance of time and miles less keenly. I feel as if I am still joined to those people who are special to my heart. And that is something I want to experience more and more frequently. Sight may not be the thing God uses for you, but I guarantee He uses something. He sends prayer reminders to us continually, if we will only heed them. He created us to be intermingled with one another in heart and spirit, whether we’re close in miles or have been in one another’s company recently or not. Listen to the reminders. Heed them. Bask in them. And use them. Use them to draw close to the heart of your Father and the heart of that person. As you do so, you will find both growing more precious to you than you could ever imagine.